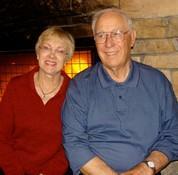 Together with his wife Elaine, Carol is the original Bell Auto Service. You’ll usually find him in his rusty chair at the shop playing solitaire, hearts or spades on his computer. Anytime you need a ride home or back to work Carol will be the man to take you there. His laid-back and relaxed personality will bring a smile to your heart.